While spring may be just around the corner, the temperatures in Alaska will remain chilly for quite some time, leaving a wintry feeling long after the winter season is officially over. There is a lot to embrace about wintertime in Alaska—from the fresh, powdery snow to the northern lights in the clear, dark sky. But the cold temperatures can take a toll, and if there’s one thing about winter that Alaskans hold in high regard, it’s the warming effect of comfort food. Here, you’ll find an assortment of unique, cultural and only-in-Alaska culinary options that are sure to please any palate. Alaskans have a deep affinity for seafood, traditional Alaska Native foods and spinoffs of popular American dishes that have their own Alaska twist. 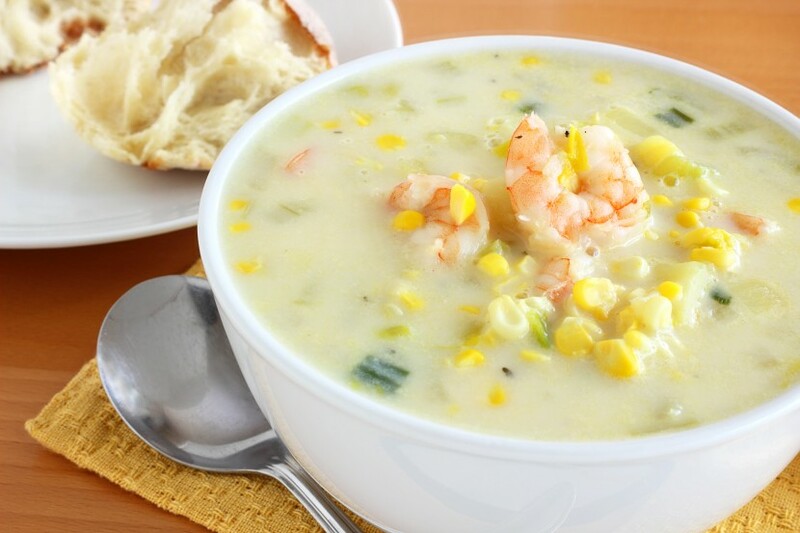 We love the heartiness of this Alaska dish; it’s a step up from the more commonly found clam chowder, with a combination of quality seafood that the state is known for. You can find different variations of seafood chowder year-round but one of our favorites is ladled up at Denali Princess Wilderness Lodge: a Smoked Wild Alaskan Salmon Chowder, made with Alaska salmon that is smoked over Native hardwood, the traditional Northwest style. Drop in at almost any diner and this will surely be on the menu. Reindeer sausage is a popular culinary favorite in Alaska, perhaps because the options are endless. You’ll find it served alongside eggs, folded into omelets, topped on pizza or stirred into a tasty pasta dish. In late February to early March, Anchorage hosts the 10-day Fur Rendezvous winter festival, bringing hot dog vendors to the streets of downtown. Swing by one to order a grilled reindeer sausage garnished with caramelized onions for an Alaska variation to the hot dog. There is something about a cheesy, right-out-of-the-oven slice of pizza that speaks to us. Anchorage is home to Moose’s Tooth Pub & Pizzeria, a mainstay that you will likely visit again and again, just to try all the options on the menu. How about mozzarella bread sticks, Hungarian mushroom soup or a Bear Tooth Ale with your pizza for a winter warm-up? Moose’s Tooth is the kind of pizza place that is known even outside of Alaska. In fact, TripAdvisor ranked the restaurant as the third-best pizza place in the United States! If you visit Alaska, you’ll probably hear about this traditional Native food (pronounced exactly how it is spelled), made from frozen whale skin and blubber. While you won’t be able to find it at a restaurant, it’s popular in the northern part of the state where subsistence whaling is practiced. Muktuk is typically eaten raw but this traditional recipe for hot pickled muktuk is enjoyed during the cold winter months. If you’re traveling to Alaska’s communities in the Arctic or nearby, you might get to experience this unique culinary and cultural treat. Bubbly and hot seafood dip is a comfort food that is hard to beat. It embodies everything that Alaskans love—a blend of seafood and rich flavors served hot, perfect for the chilliest of days. Princess Lodges features an Alaskan king crab seafood dip packed with crab meat, shrimp and a blend of fresh chives and herbs. Savory garlic crostinis accompany this dish, which is sure to leave you wishing for seconds!